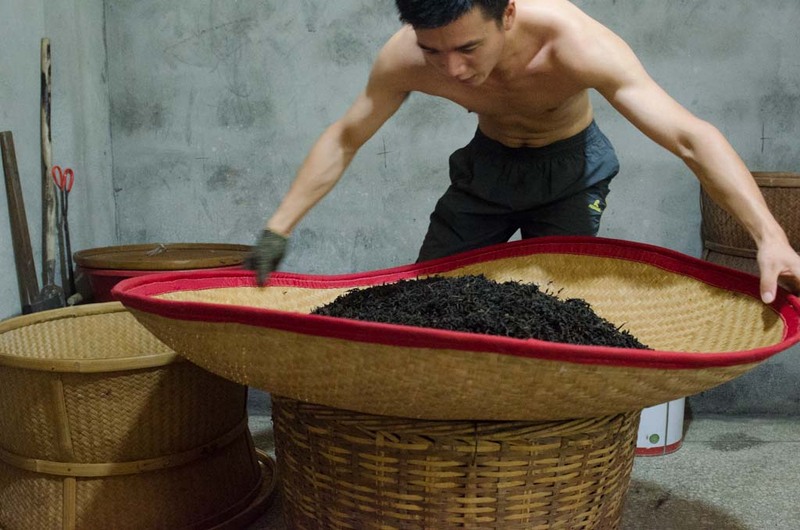 In Wuyishan, some people say that three-year-old tea is medicine, after ten years a panacea, and aged tea over 20 years is a treasure. Posted on 26 Feb 2019 by Mengjiao and Phil . Posted in Wuyishan. 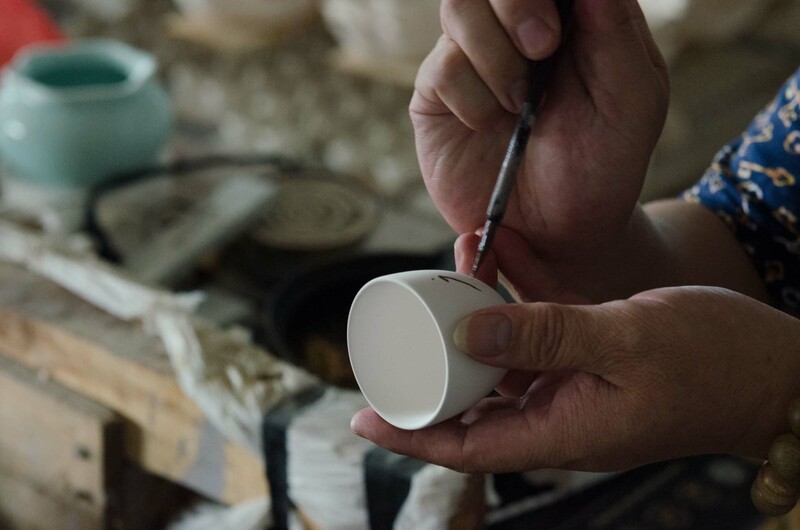 Take a look inside a Dehua porcelain factory. The owner is a family friend, who took us to take a look at how mass produced porcelain is made. Posted on 23 Feb 2018 by Mengjiao and Phil . Posted in Dehua. Tagged Tea Places. First new growth from a mother tree is collected. 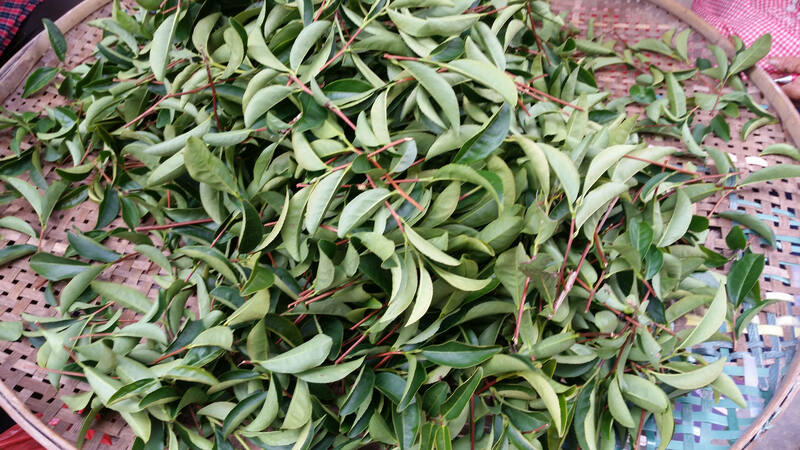 The raw cuttings are then trimmed to contain one healthy leaf, at least one dormant bud, and a small piece of stem that will grow the roots. Posted on 22 Jan 2018 by Mengjiao and Phil . Posted in Wuyishan. Tagged Tea Farming. Explore the dragon kiln in Dehua, China. The kiln rises up a gentle slope and it fired twice a month. 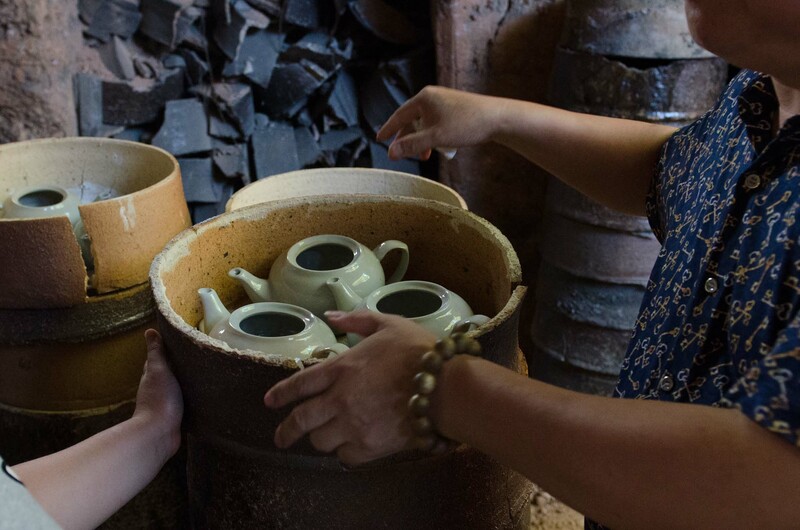 A factory at the base of the kiln slip casts teapots to fill the bulk of each firing, while local artists fire selected wares. Posted on 18 Dec 2017 by Mengjiao and Phil . Posted in Dehua. Tagged Tea Places. 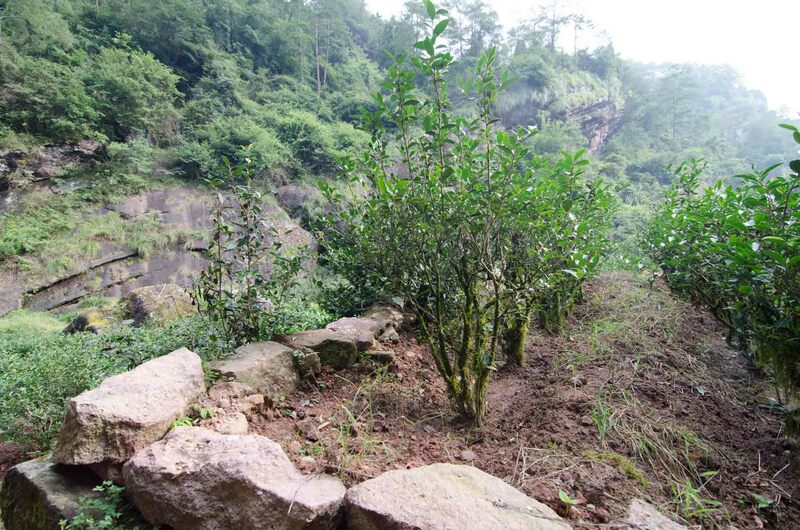 Take a short visit to Niu Lan Keng (牛栏坑) the garden famous for it's Rou Gui. Posted on 4 Dec 2017 by Mengjiao and Phil . Posted in Wuyishan. Tagged Tea Places. 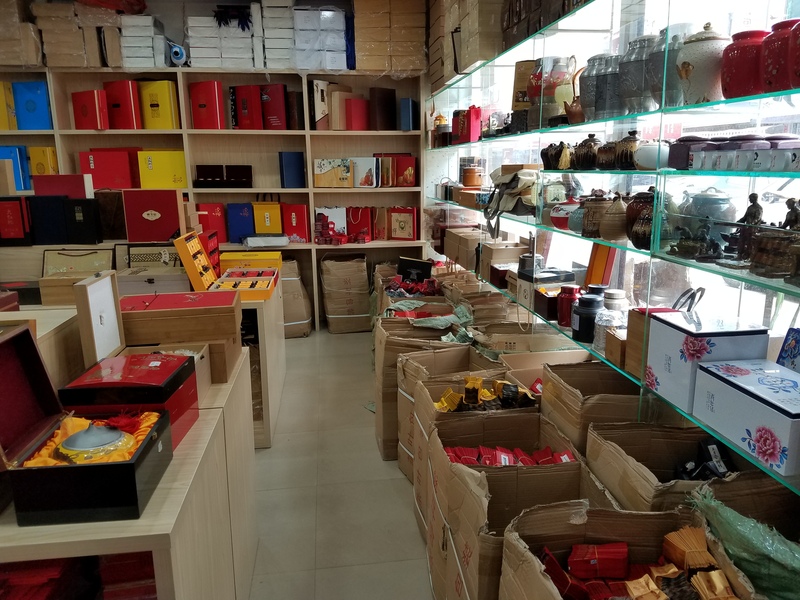 Take a look inside a tea packaging store in Wuyishan. This store has a variety of generic tea packages and gift boxes for sale. Posted on 20 Nov 2017 by Mengjiao and Phil . Posted in Wuyishan. Tagged Tea Packaging. We open the door and walk into the roasting room at the tea factory. The air is hot and the smell of tea strong. The roast is progressing nicely. Posted on 13 Nov 2017 by Mengjiao and Phil . Posted in Wuyishan. Tagged Tea Production. There are a lot of tea stores out there and a lot of different prices, pictures, and conflicting descriptions for the same products. 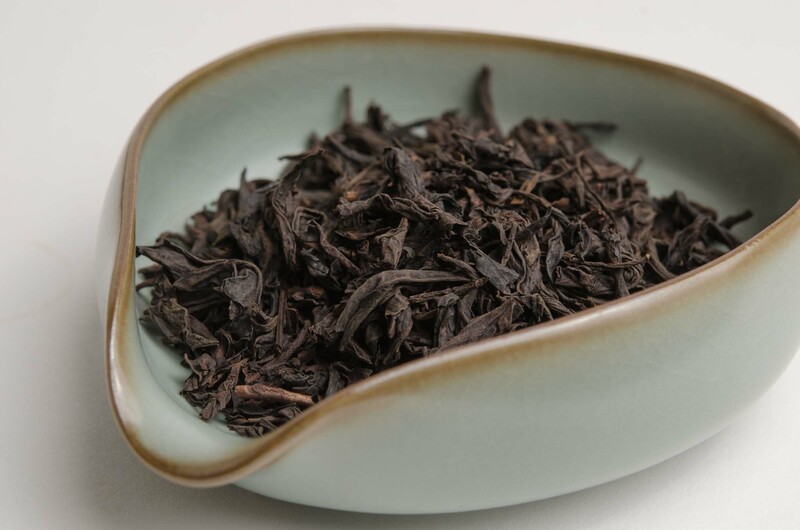 Whats a tea buyer to do? Posted on 20 Jan 2017 by Mengjiao and Phil . Posted in Old Ways Tea. Tagged Tea Marketing.